Why buy an electric generator, when you already have a car than can be used to make electricity? An Inverter is a device that electronically makes AC from DC. 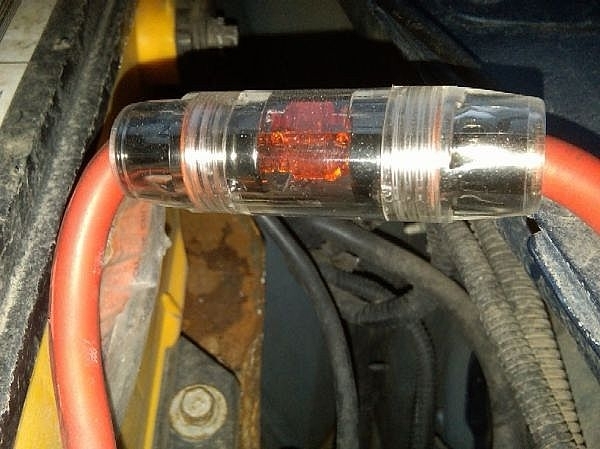 Typically, it converts 12 volts DC in your car to 120 volts AC household current. I've owned lots of generators, and an inverter and a car will power most of the same tools and has many advantages. A car is easier to move than a 150 lb generator. It always has fresh gas and starts easily. You can let an inverter sit for 5 years and it will still work when you turn it on. Try that with a gasoline or diesel generator. I use mine all the time and I like it better than any generator I've owned. Measure the space under the passenger seat of your car, truck or SUV. You'll need the length, width and height. Buy a 1500 watt inverter that will fit into this space. If you have a truck or SUV, you'll have no problem. 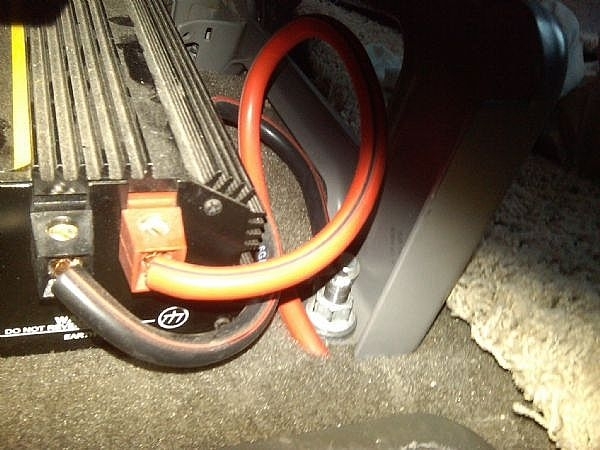 If you have a small car, make sure and buy an inverter that will fit. They come in many different sizes. Try to get one that will surge 3000 watts or better. Most devices use a lot more power when starting. Buy a set of jumper cables at least 10 feet long. A 1500 watt inverter will draw over 125 amps, so get at least 2/0 AWG (2-gauge) copper wire. Cut the clamp ends off. Remove the passenger seat. Usually four bolts hold it to the floor. 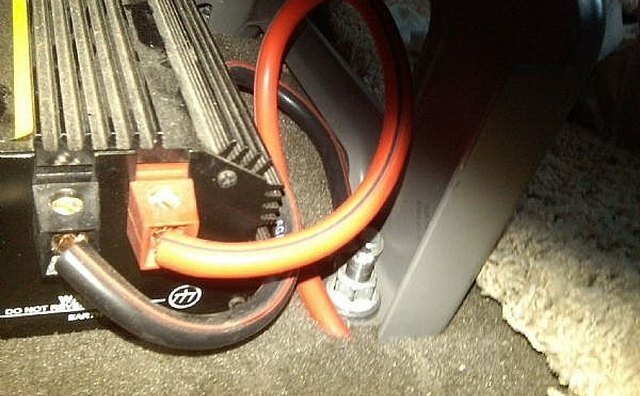 Drill holes in the floor of the vehicle and mount the inverter with sheet metal screws. 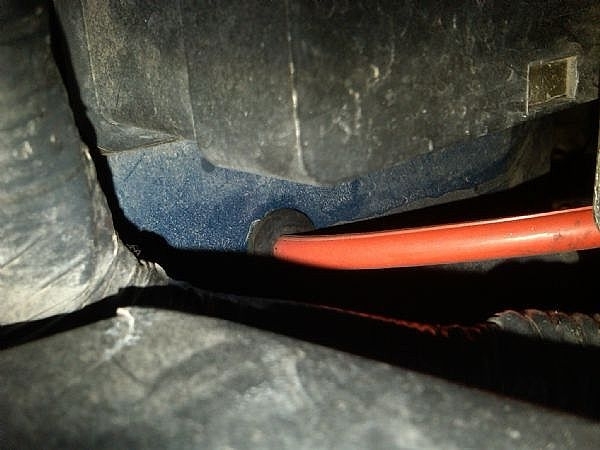 Look under the car and all around to make sure you're not drilling into wires or something else important. 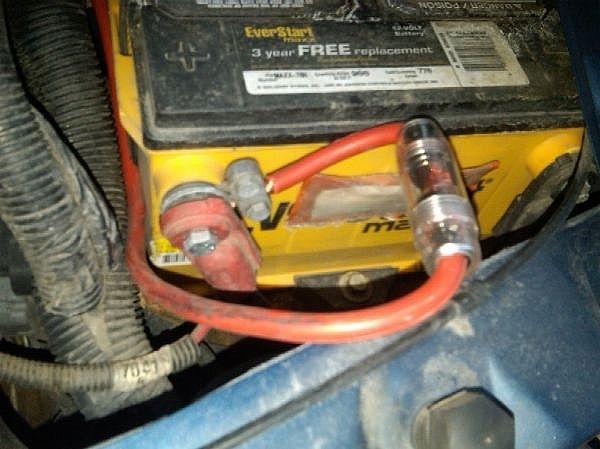 Connect a wire to the positive side of the inverter and fish it from the back of the inverter to the battery. Use a red colored wire if you have a choice. You can probably go under the carpet and through an existing hole in the firewall. If you have to drill a new hole, make sure to buy a rubber grommet to protect the wire. Attach at least a 150 amp fuse to the end of the wire and connect it to the battery. 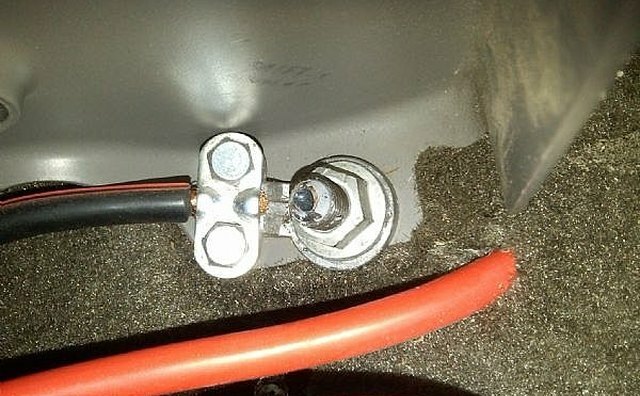 (Remove the fuse first) You can use the type of clamp used in connecting large starter wires as in the picture. 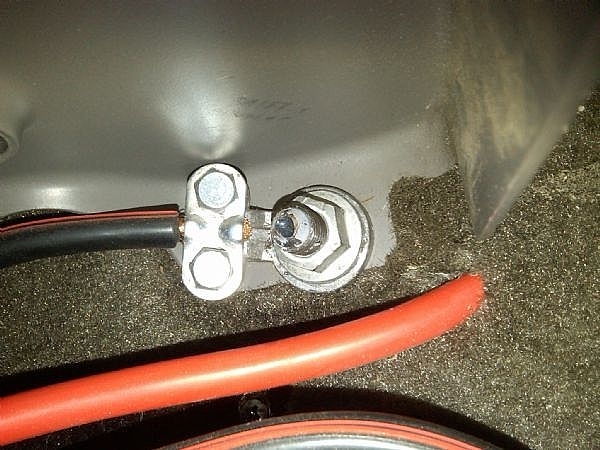 Connect a short wire from the negative side of the inverter to the bolt that holds the seat. 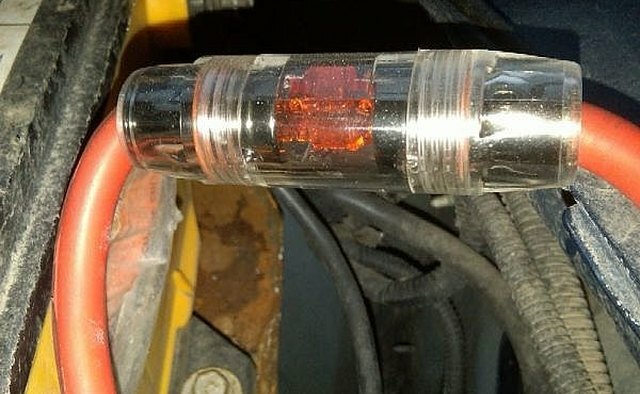 Again, you can use a clamp connector like in the picture. Put the fuse in, and your inverter is ready for use. 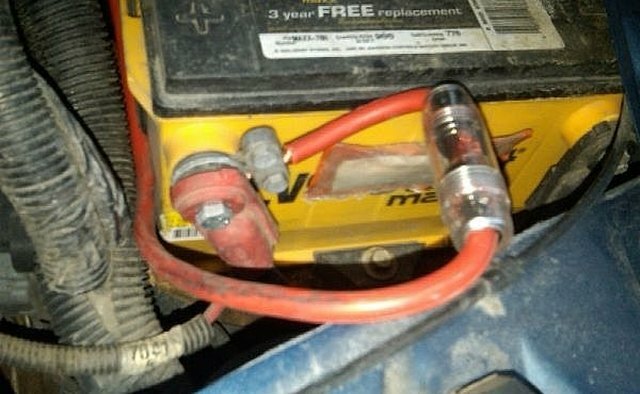 This setup is perfect for power outages as my vehicle holds 25 gallons of gas, and if full, can power my furnace for days. I've run a grinder, drill, skill saw, freezer and my furnace off my inverter. You'll need to run the car when you power anything over 100 watts. A 6 cylinder engine uses about 1/2 gallon of gas per hour when idling. That's a little more than a single cylinder engine generator, but the money you save on buying an inverter instead of a generator will pay for a lot of gas.